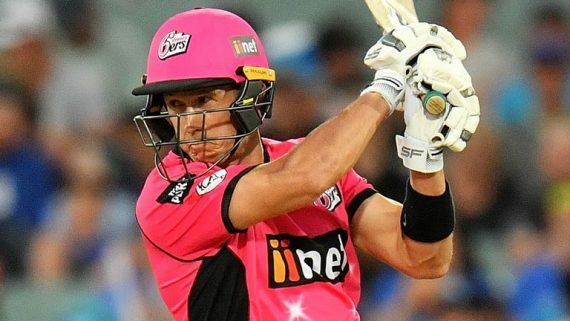 Kent’s Joe Denly ignited for the first time in the Big Bash this season with his 76 not out from 60 balls helping Sydney Sixers to victory over defending champions Adelaide Strikers. Denly, whose top score in his first six innings this campaign was 14, hit eight fours and a six as Sixers chased down Strikers’ 150-5 with 10 deliveries remaining to triumph by six wickets at Adelaide Oval. The Kent and England batsman was dropped on 33 by Cameron Valente and made Strikers pay as Sixers moved up to second in the standings, two points behind unbeaten leaders Hobart Hurricanes. Denly was named PCA Player of the Year, Royal London One-Day Cup Player of the Year and Vitality Blast Player of the Year at October’s PCA Awards following his exploits with Kent in 2018. The 33-year-old was Kent’s leading run-scorer in the Vitality Blast and averaged 70 in the Royal London One-Day Cup as the Canterbury outfit reached the final, where they lost to Hampshire. Denly scored over 800 runs in Specsavers County Championship Division Two as Kent earned promotion back to the top flight, while he claimed in excess of 50 wickets in all competitions with his leg-spin. Denly’s success earned him a call-up to England’s Test squad for the tour to Sri Lanka and, although he did not play a game as Joe Root’s side earned a 3-0 whitewash, he has been retained for the three match series against the West Indies which starts in Barbados on 23rd January. The Canterbury-born player also picked up four wickets against Sri Lanka in October his first T20 appearance for England in eight years. Denly – also in England’s ODI squad for the five-match series in the Caribbean – will get to showcase his T20 skills again this spring having been signed by IPL franchise, the Kolkata Knight Riders. His inclusion in England squads and being picked up to play in the IPL will mean Kent fans may have to make the most of seeing their vice-captain when he is in the county. This entry was posted	on Monday, January 7th, 2019 at 12:00 pm	and is filed under Cricket, Featured. You can follow any responses to this entry through the RSS 2.0 feed. Both comments and pings are currently closed.